APD’s Southern Region held its first 2019 meeting for group home providers last month. The meeting was very well attended. The meeting covered a variety of topics, but an important agenda item was about upcoming changes to the Medicaid eligibility application and how they can impact customers. iConnect Trainer Francesca Gerard introduced the audience to the iConnect system and discussed what the system is designed to do to assist our customers. Additionally, the audience was provided with residential planning technical assistance from State Office Residential Planning Manager Johnnie Coleman and Residential Planning Coordinator Kimberly Conyers. The next group home provider meeting will be held March 20, 2019. 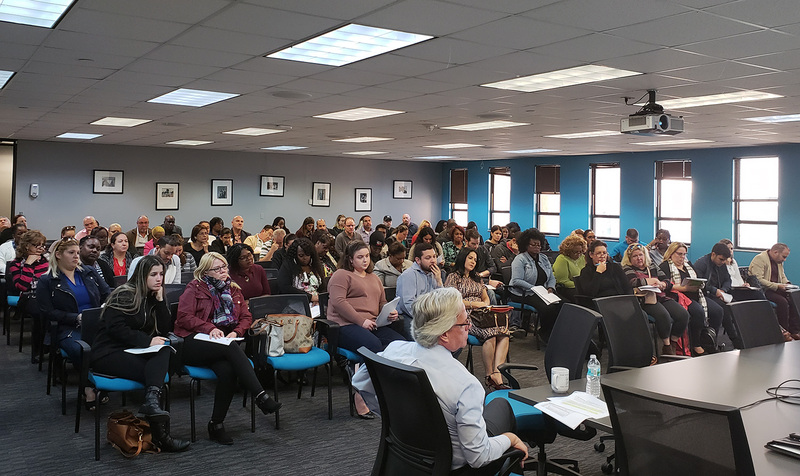 Many group home providers attended APD Southern Region’s first provider meeting of 2019.